What is Mind Body Medicine? Sometimes called integral or complementary medicine, it refers both to a general approach to human health/healing, and a medical sub-specialty. The Mind-Body approach goes beyond the physically bound thinking and practice that we see in “mainstream medicine” where little attention is given to the mind, the emotions, and the spiritual being of the patients. It used to be that physicians knew their patients and their patients’ families, and were aware of their personal and cultural beliefs. Before antibiotics and open-heart surgery, physicians had to rely on their remarkable ability to awaken and strengthen the healing response in the patient by positively influencing his or her thoughts, feelings, and beliefs. They used “placebos,” meditations, rituals, and prayers to guide the mind and body into harmony with the heart and soul — and they were remarkably effective. Unfortunately, the rise of technological medicine, though immensely valuable (it has saved the lives of those I love), it has brought about the disappearance of these powerful mind-tools. Mind-Body Medicine recognizes the incredible potential that can be realized by joining the power of these two approaches, and offers a perspective on human health that recognizes the power of emotional intelligence, critical thinking, physical conditioning (e.g., diet, exercise), and spiritual awareness. Unlike mainstream medicine, the Mind-Body approach is evidence-based. Study after study demonstrates that stress, relationship, and emotional state are by far the most reliable predictors of whether a person will heal rapidly – and whether they will get sick in the first place. Yet mainstream medicine is just coming into awareness of this and of how shortsighted it has been. The Mind-Body healing approach, on the other hand places stress management, emotional state, self-image, and spiritual wholeness at the center of the examination – after all, most of the symptoms in the body have their roots in the mind and emotions. The Mind-Body healing approach recognizes that there is a great power in belief and provides a way for the patient to access the power of their positive beliefs, and to change the beliefs that are impeding personal growth and peak performance. It recognizes the power of epigenetic factors (Listen to conversation with Dr. Miller and Dr. Bruce Lipton). It utilizes the enormous potential of neuroplasticity and our potential for change that even extends to the level of growing new neurons in addition to modifying synapses in the brain –we can literally rewire the brain. Mind-Body Medicine requires that all the skills and tools of ‘technological medicine’ be available for emergencies and other acute medical situations to which its tools are so well suited. It does not replace the positive tools of mainstream medicine, it includes them as another healing option. In a true healing relationship, the physician is empathetic to the ills of the patient and the patient is willing to open up and deal with the true source of their symptoms. As honest conversation takes place, the physician, therapist, or healer, through rational appraisal, personal experience, and intuitive guidance, becomes able to offer a healing prescription. The healing prescription includes specific relaxation and guided imagery tools to be used together with dietary, exercise, rest, and spiritual recommendations (and medicine or surgery when needed). The goal is to restore balance and vitality to all parts of the person — mind, body, emotions, behavior, and relationships. Mind-Body Medicine focuses on the entire system, with special attention to the interactions between mind (psyche) and body (soma), as well as to the emotional and spiritual dimensions and how they all interact in both health and disease. The mind is at the highest level of that hierarchy, and therefore it is the part of our anatomy that deserves to be in charge of making decisions that concern the entire organism. The goal of Mind-Body Medicine is to return the mind to a calm, balanced, well functioning state so that it can make wise decisions that will lead and maintain optimal health and performance. The use of deeply relaxed states and wisely guided imagery is the most effective way to empower the mind to heal the body. Central to the Mind-Body healing approach is an awareness that certain negative kinds of mental images, thoughts, emotions, beliefs, and self-talk can create an inner imbalance in your physiology thereby producing serious diseases and chronic conditions. Conversely, there are clear positive patterns of thought that can generate the kinds of beliefs, emotions, and self-regard that create balance of your mind and body as well as vibrant good health. In a similar manner, the condition of your physical body (its internal chemistry, fitness, and vitality, etc.) will have an enormous impact on the functioning of the mind. Healing of one facilitates healing of the other. Mind heals body, body heals mind. 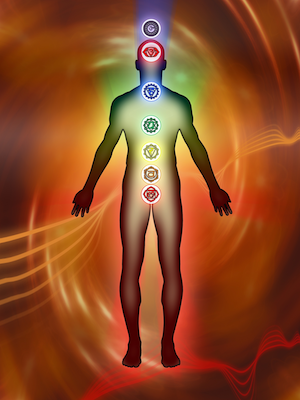 One of the most important aspects of Mind-Body Medicine involves the use of techniques that produce a deeply relaxed, receptive state of consciousness (biofeedback, hypnosis, or meditation). Dr. Miller refers to this as the “Healing State,” since it provides a medium through which the health care professional can interact with the patient/client to create positive mental “programs” (Software for the Mind). These programs are composed of wise guidance using mental imagery and visualization, affirmations, and patterns of thoughts that are scripts for the mind, body, emotions, and behaviors to follow. This engages and enhances the healing response. 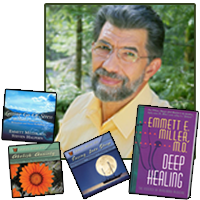 One very effective way to learn mind-body concepts and the tools of mind body medicine is through reading Dr. Miller’s writings. Even better, listen to the actual recordings of his guided imagery and meditative techniques, along with the wisdom and passion found in his Free Meditations & Guided Imagery audio programs. Check out the many fascinating tools for deep healing and personal growth at our Online Store in the form of CDs and tapes, DVDs, books, e-books, and MP3 downloads. In addition, you can schedule a personal appointment with Dr. Miller for individual guidance, coaching, therapy, or professional consultation. Sign up for Dr. Miller’s Healing Times eNewsletter and receive 2 Free Gifts (Our Culture on the Couch; Seven Steps to Global Healing ebook AND Dr. Miller’s Relaxation and Inspiration Guided Imagery MP3 Program).